Spanish officials have suspended a controversial experiment that was going to see scientists zap the brains of prisoners. 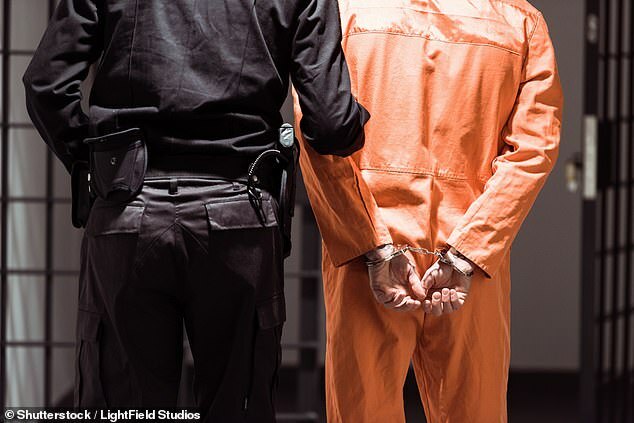 Researchers wanted to discover if small jolts of electricity would make inmates – specifically murderers – less aggressive. But the Spanish interior ministry has now confirmed the trial at Huelva prison led by the local university will be halted until further notice. Ethical concerns were raised when details of the trial, which was set to enroll 12 males serving murder sentences, first emerged last week. One psychiatrist feared prisoners may wrongly believe volunteering to take part in the study could be beneficial to their case in future. Twelve males serving murder sentences volunteered for the study led by Dr Andrés Molero-Chamizo, New Scientist reported. It was going to test transcranial direct current stimulation (TDCS), which increases the firing rate of neurons in certain regions of the brain. The trial was going to strap electrodes to each prisoner’s head, before turning on an electric current aimed at the frontal lobe for 15 minutes. The experiment, which was also going to take saliva samples to assess stress hormone levels, was set to take place on three successive days next month. Prisoners were going to be asked to respond to a series of statements, both before and after the experiment, regarding their aggression. Spanish officials told New Scientist that the trial was granted permission by the previous Government, the People’s Party. They claimed more information is needed about the study of TDCS on the prisoners before it is allowed to continue. The People’s Party was ousted from Government in May last year, after losing a vote of no-confidence in the country’s parliament. Delaney Smith, a forensic psychiatrist in Columbus, Ohio, told NewScientist last week: ‘I would have big concerns about this [the experiment]. It comes after Oxford University researchers announced they were launching a trial of TDCS to see if it could help people with stutters. Some of the best speech treatments are gruelling and difficult to complete, the scientists warned in January. The trial is not expected to cure people of their stutter, but researchers said they hoped it would give them better control over it. Around one in 20 young children go through a phase of stuttering in the UK, although four in five who do later grow out of it.